Our rugs come in all sorts of distinct shapes and sizes. We offer a variety that is unmatched and are confident in our ability to find a rug that you’re looking for – regardless of how particular that may be. One look at our showroom will reveal the sweeping diversity available. Runners come in all sizes and varieties. If you need a rug to fit your hallway or nook, we have a great selection to fill that need. In need of a rug to fill a large area? We carry over-sized rugs such as 12×18, 12×20, 14×18 and other unique dimensions. If you are in need of a rug with a specialized size or design just contact us and we will be happy to find it. Come check out our one of a kind woven wall portraits, tapestries, bags, saddle-backs, pillowcases and table placements/coverings. Be ready for a variety of unique items. 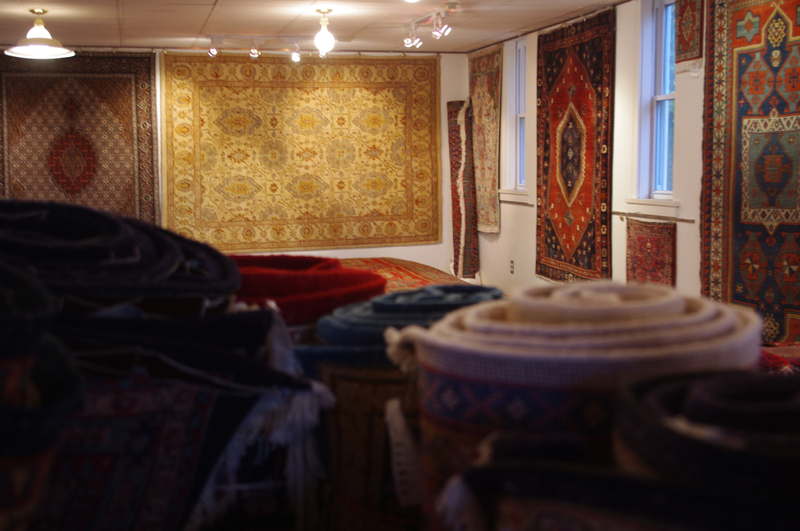 Contact New England Imported Rug Gallery today!